sandileescraps: LCOM Winter Wonderland...Happy Birthday Blog Hop!!! 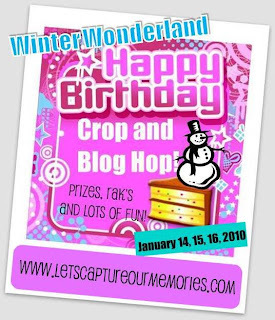 LCOM Winter Wonderland...Happy Birthday Blog Hop!!! Welcome! You should be arriving from Lynne's blog....wasn't that a GREAT tutorial! For those of you who are just joining, believe me you will want to go through the whole blog hop to see all the wonderful birthday inspirations! Are you ready to get your crop on? Then join us at the LCOM forum right now for 8 sketches, winter wonderland challenges and lots of inspiration so you can get your groove on this weekend. We also have a tutorial on how to make an easy card organizer for you to get organized and make your own handmade cards for the year (to be posted on Saturday afternoon). 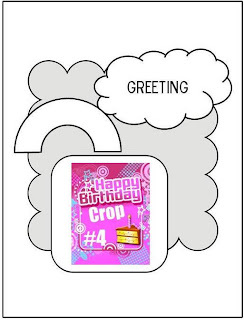 Here's the card I made for Anita's sketch. I used her secret element also! My third card is a sketch from Monique. I also used her secret element on my card. Can you guess what my secret element is? If you guess my secret element and use it on your card or layout, you will get an extra point. Check out the forum or the other blogs and see who else used it. That will give you some help! You have until January 23rd at 11pm EST to complete all 8 sketches and the other challenges at the Winter Wonderland Crop. You'll get a point for each sketch you complete and a point for each secret element you get correct and also a point for each challenge you complete. You can also get points for completing the card organizer. You don't have to use birthday theme if you don't want to. Grab this blinkie and when you are finished with them all, tell us you are finished at the forum. Winners will be announced on January 26th...a first and second prize at LCOM. Now for my RAK...all you have to do is leave a comment to be eligible. I will announce the winner here on my blog on January 26th. Here's what I am going to do...I will give a lucky winner via random integer, two sheets of each of these! 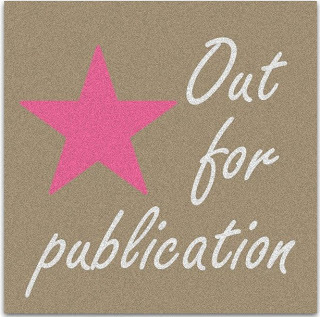 It's time to go to Joanne's blog now! 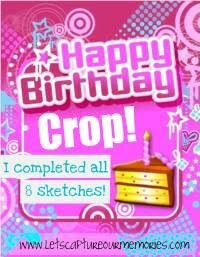 Have fun and hope to see you on the boards sharing all your creations!!! Your cards are super fun and bright!! WOW! Fabulous cards, Sandi! I just love coming here to see what you've come up with! And I would SO love to be the lucky winner of the sassafras and applejack papers and would use them to scrap my 2 year old grandson - fabulous papers! Thanks for the chance and have a terrific weekend ahead! Awesome cards Sandi! Love everything about them..they are soo colorful!! 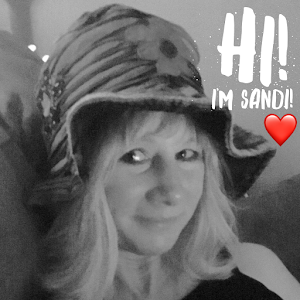 WOW... you are rocking the Sassafrass Sandi. Love all the wonderful cards you made. I love ALL of these cards! The Sassafrass just looks awesome in your cards! GORgeous! I so love your card style! awesome job! I love your cards! The Sass Lass ones are my fav of course! Great job! 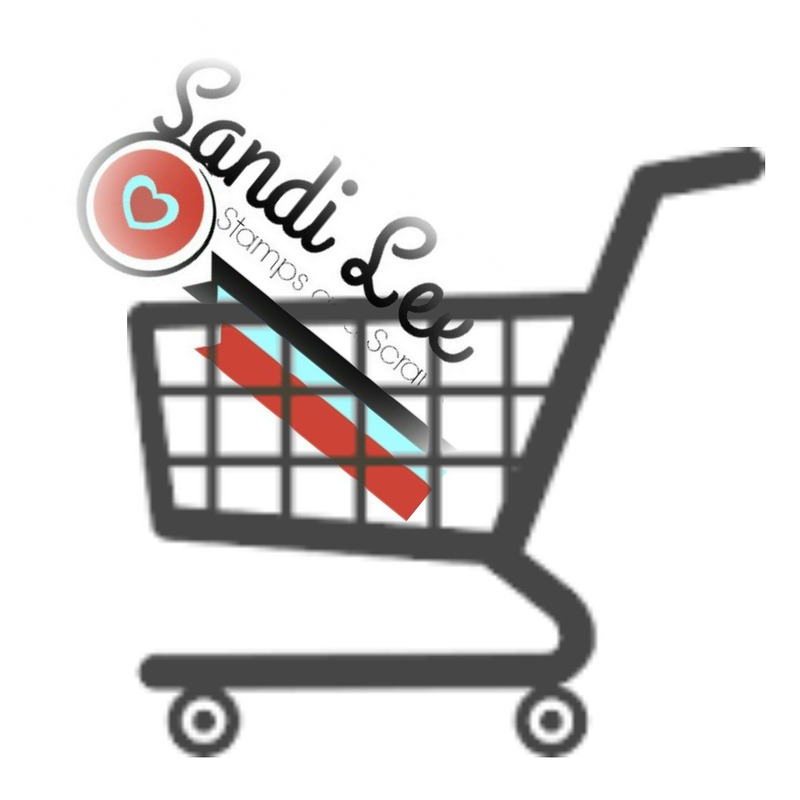 Gorgeous work Sandi, I just love these blog hops~! Love the cards-the Sass ones are great and colourful, and I love the blue ones as well. your cards are beautiful! love your color combos! I LOVE your cards! and I LOVE Sassafras! Awesome Sandi!